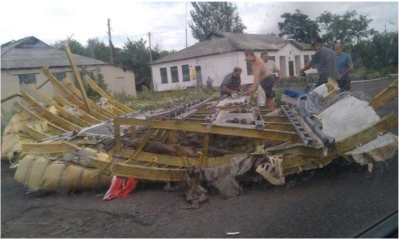 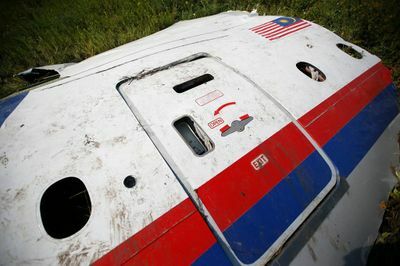 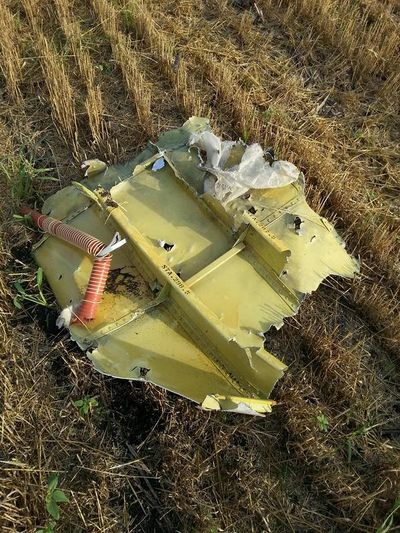 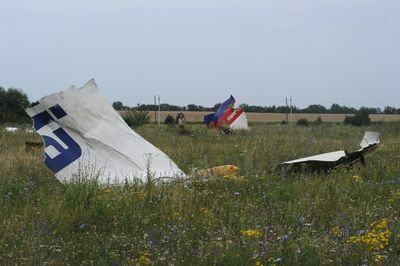 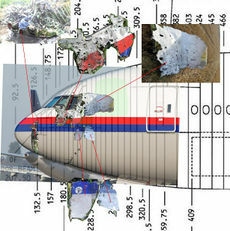 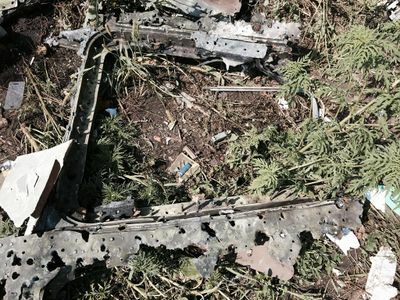 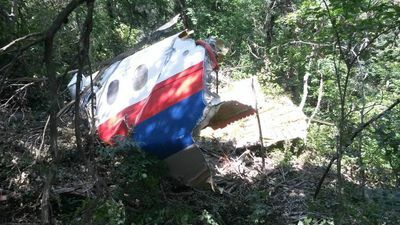 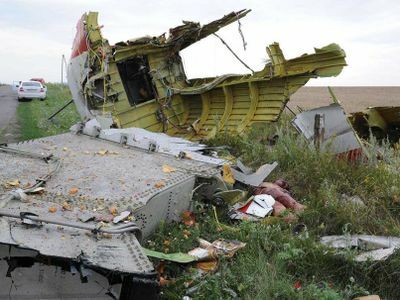 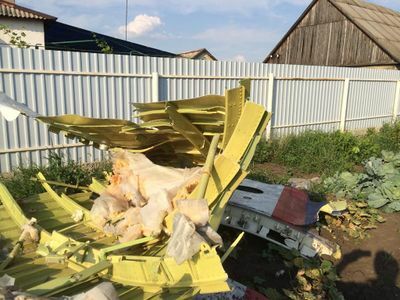 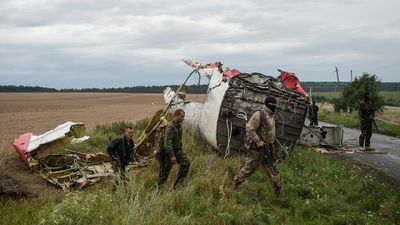 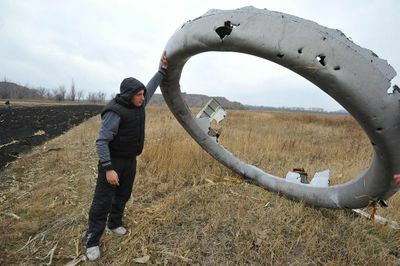 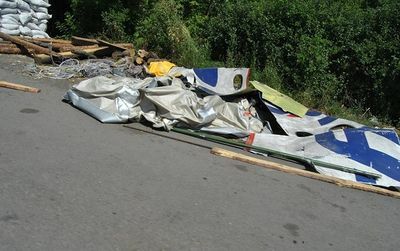 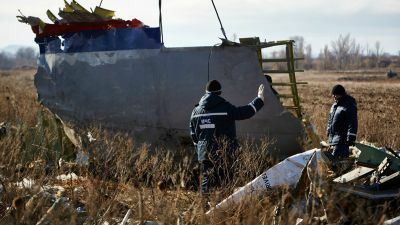 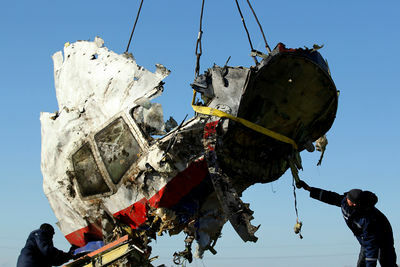 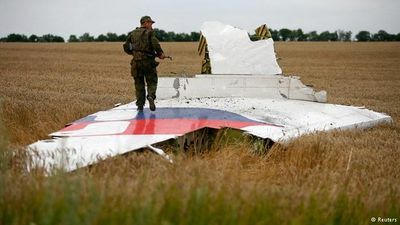 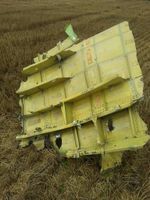 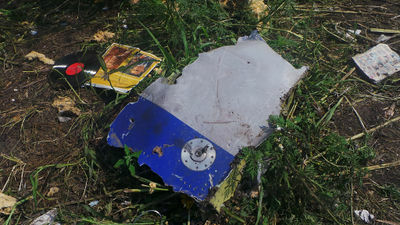 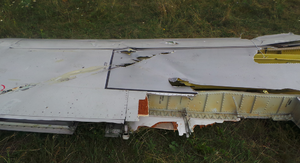 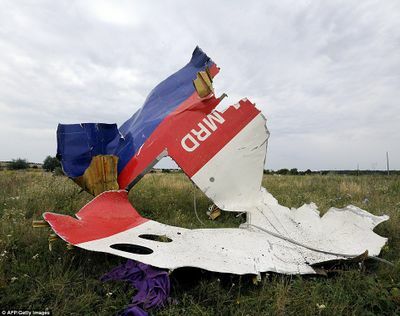 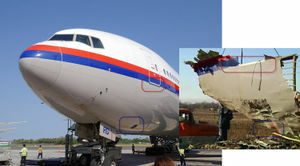 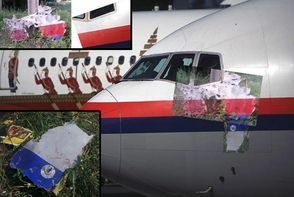 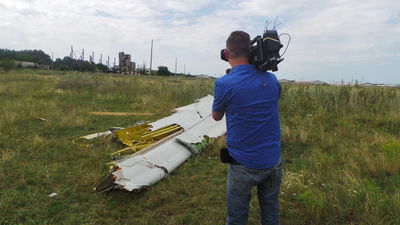 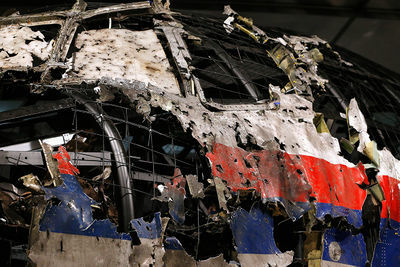 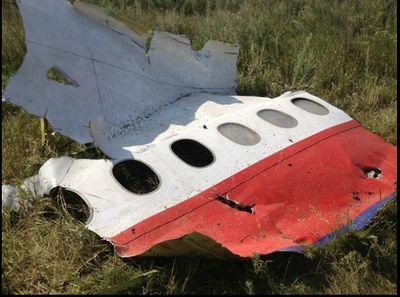 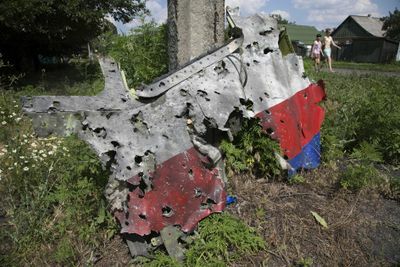 This page should contain a complete list of major MH17 airframe parts that can be identified in photographs. 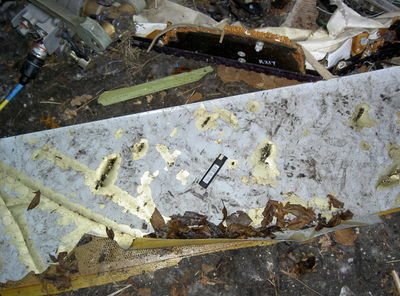 The table should be split in two. 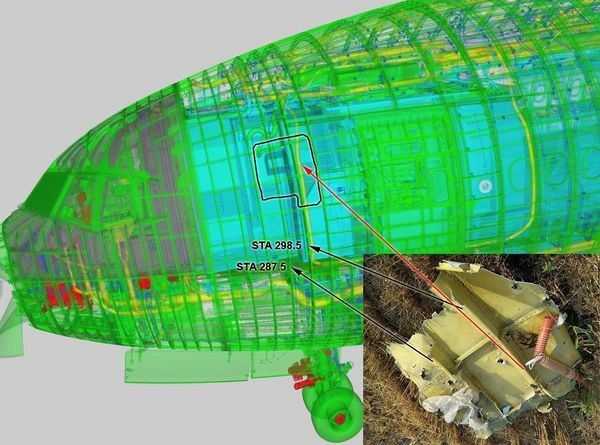 Only these sections are known to have any visible shrapnel damage. 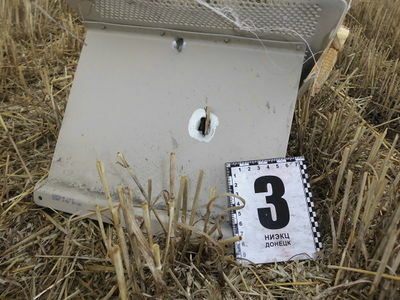 Oval and irregular holes of 20-30 mm diameter, which some described as exit holes but apparently not (see here). 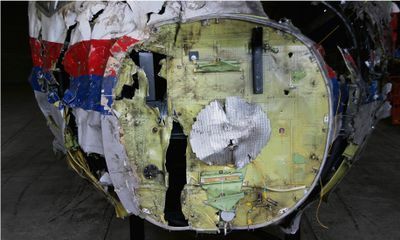 Assembled left side of the cabin, Ibtimes, October 13, 2015. 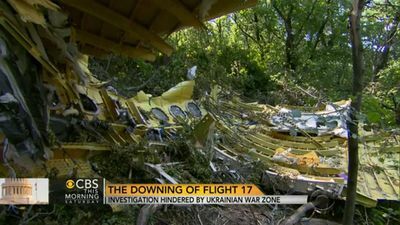 Located on the left side of the cockpit, right next to to the blast hole in the area of the worst damage. 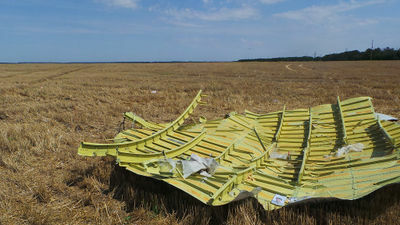 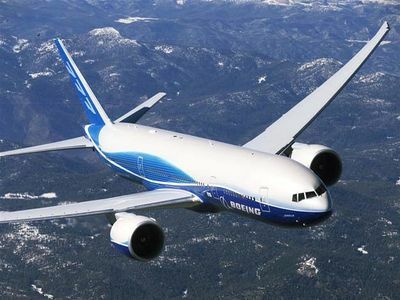 Includes centre, and right cockpit panels and front lower fuselage. 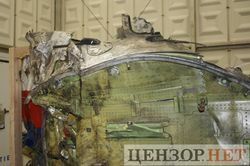 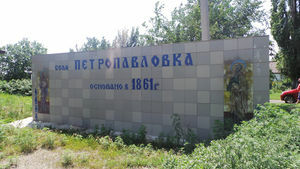 Frame of left side windscreen with bullet holes is seen at bottom of photo. 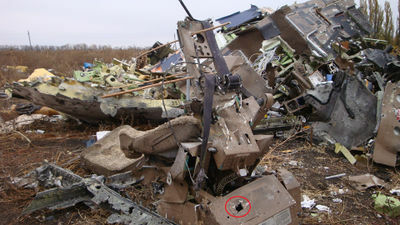 Round "machine gun" like entry holes of about 15-20 mm diameter. 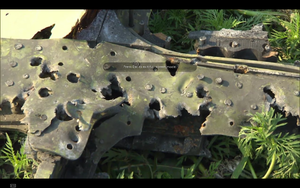 Part also seen on the left in this photo and at 9 seconds in this video. 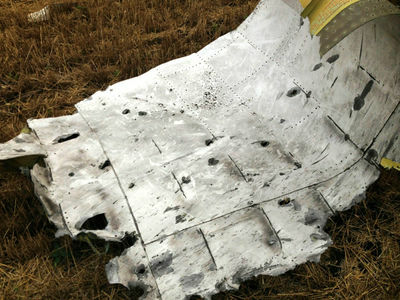 Scratches and tears in a straight line extending to the left side of the cockpit. 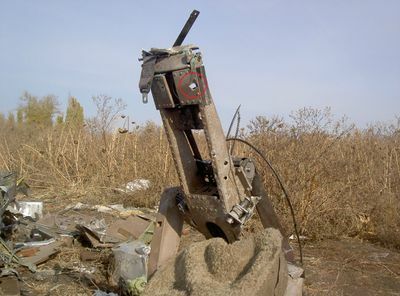 Have been variously described as caused by rods from a rod warhead or bullets. 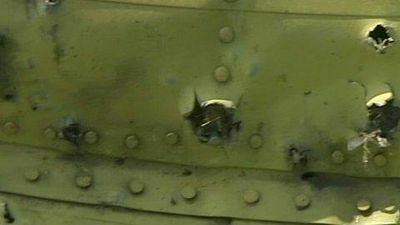 Quite high density of holes noted. 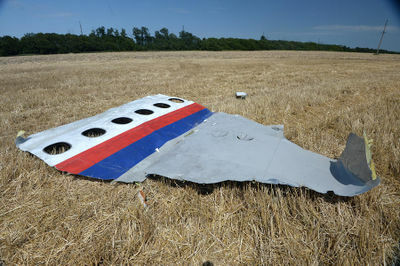 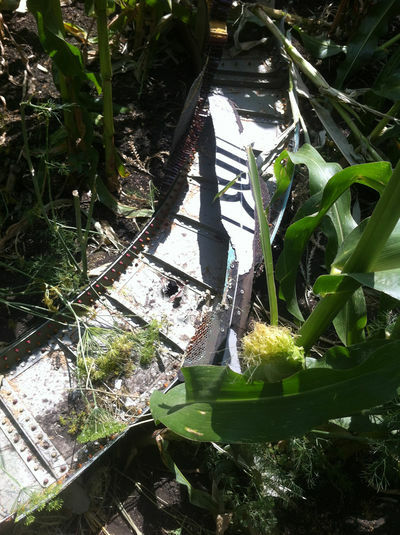 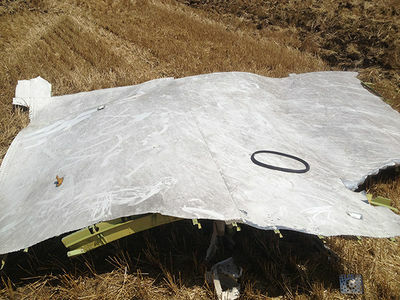 Shrapnel hit fuselage behind bulkhead or flew perpendicular to the fuselage. 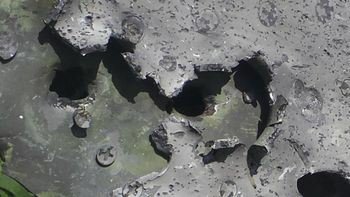 The upper hole appeared after recovery. 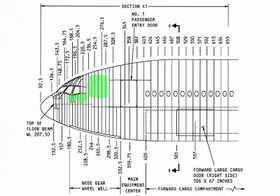 Holds windshield vipers. 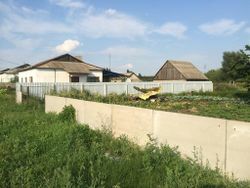 Seen in lower part of this photo. 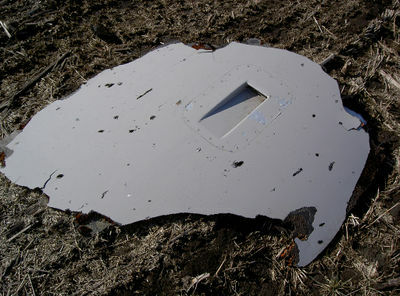 Right tail door section (Exit R4) - should connect directly to tail section. 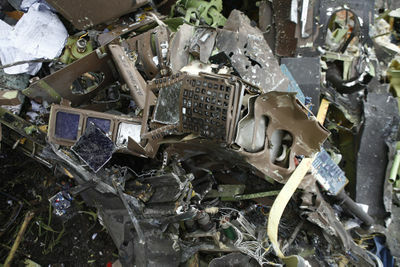 Sits next to -ia section. 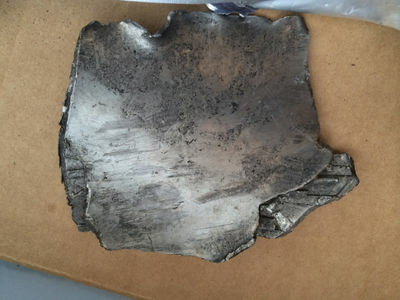 embedded in, or holding, silverish-wrapped insulation. 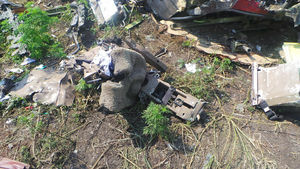 Between STA529 and STA655, connects directly to Left front door section (Exit L2). 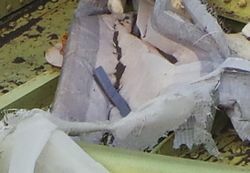 Shows secondary damage from colliding with flying debris. 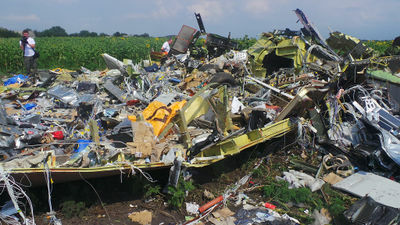 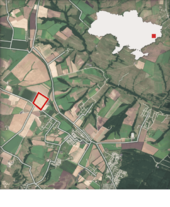 Location: "wooded area more than a kilometre away from the main crash site"
This page was last edited on 16 July 2017, at 20:32.